January is Sydney’s busiest time of the year, with a lot of major events in town. Whether you plan to couch-surf or five-star, we strongly advise that you book ahead. 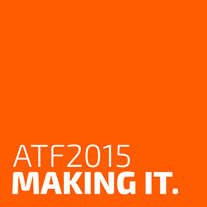 As proud partner of Sydney Festival 2015, Accor hotels are pleased to support ATF 2015 delegates with a choice of accommodation located in close proximity to the Seymour Centre and transport. Located only 1 km, a short 15 minute walk to the venue, Mercure Sydney is also adjacent to Central Railway station and bus terminals offering convenient access around the city. Alternatively, located on the western side of George Street, Novotel Sydney Central, is only a short stroll to Central station bus terminal or a 20 minute walk to the venue. The Darling Harbour and dining precincts are also easy accessible from both hotels, or enjoy the dining and recreational facilities afforded guests at both hotels. During Summer, Sydney University makes Studio and Shared Apartment accommodation available at artist-friendly prices – and it’s just a stone’s throw from the Seymour! Studio apartments – $85 per night per person – Studio apartments are double size rooms with en-suite bathrooms, microwave , kettle and a little bar fridge. Residents staying in those have 24/7 access to the common area where they can cook, dine, watch TV play games etc. Five-bedroom apartments – $68 per night per person – you can hire either a single room or entire apartment. There are two bathrooms that are shared amongst 5 people and a large open plan kitchen/living/dining area. You can check out rooms and book online here, but you will get the discounted prices above by downloading and completing the Sydney University Village Accommodation Booking Form and emailing it to Joanna, who’s details are on the form. Adina Apartments are a five minute walk from Seymour Centre, and offer a range of spacious suites and apartments. Book directly with the hotel or use www.tripadvisor.com.au to compare prices. Y Hotel City South is a three star hotel boasting 64 rooms, offering terrific friendly service. Rooms are currently offered on www.wotif.com for $80 per night.